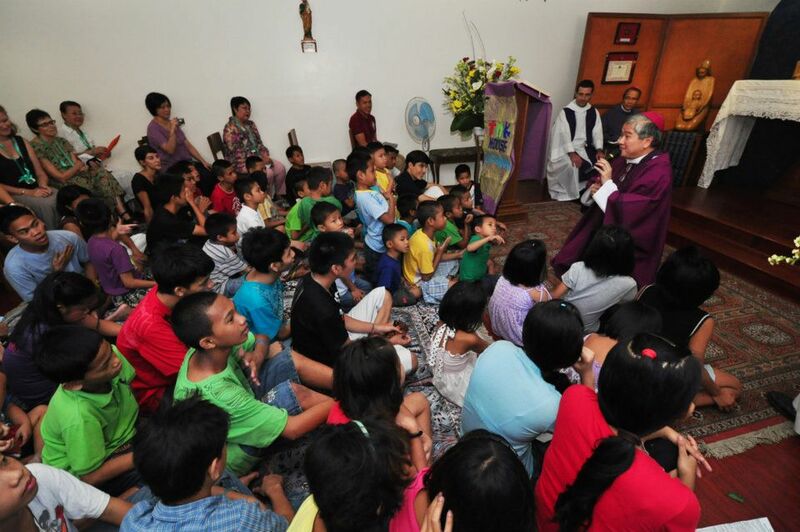 As you can see from the photos, the chapel is not that big and the kids were made to sit on the carpeted floor. So the archbishop was on his knees to preach his sermon. Relax GULP! And here is the crowning photo. Yup. That's him. Look how small the chapel is. So why put up another altar when you already have a beautiful one? Liturgists would argue about active participation. You need to see the face of the priest to have that??? 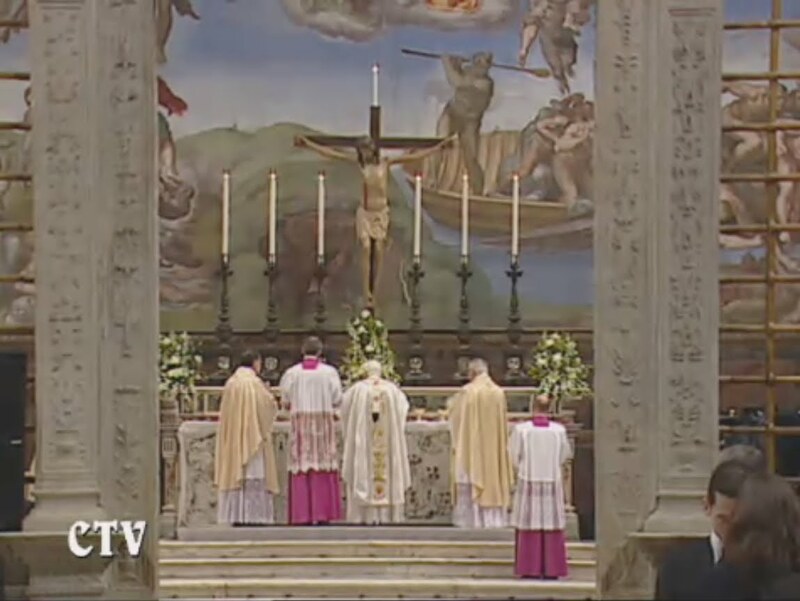 You need to see what goes in the Mass to actually actively participate in the Mass? Mass ad orientem is legal and noble! 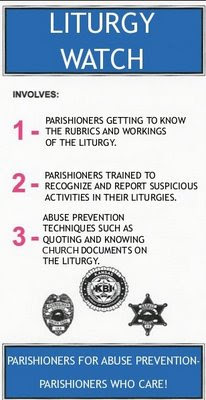 So bishops who always freak out about this...LET US HAVE THIS ARRANGEMENT! 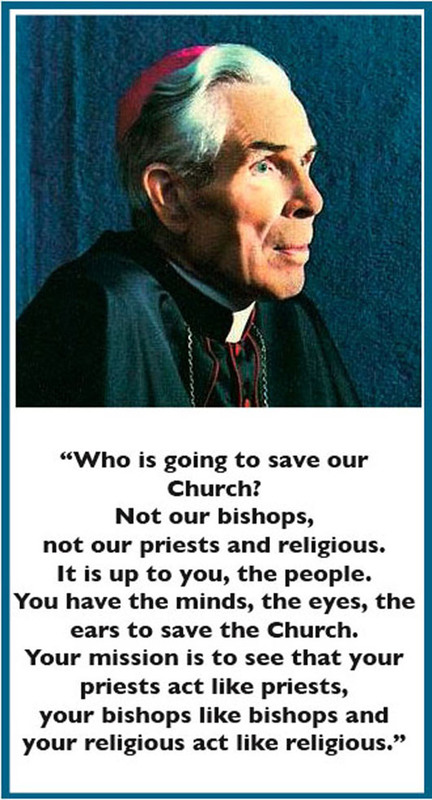 KUDOS ARCHBISHOP VILLEGAS! Hope to see this done more in his archdiocese! 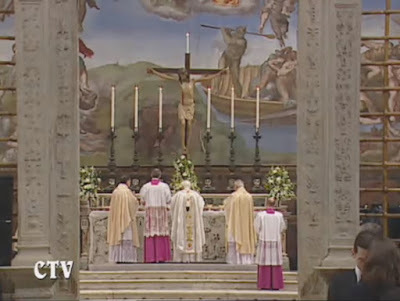 If you want to read more how noble and sublime praying the Mass facing the same direction is, click here. "The Holy Mass is a prayer itself, even the highest prayer that exists. It is the Sacrifice, dedicated by our Redeemer at the Cross, and repeated every day on the altar. If you wish to hear Mass as it should be heard, you must follow with eye, heart and mouth all that happens at the altar. 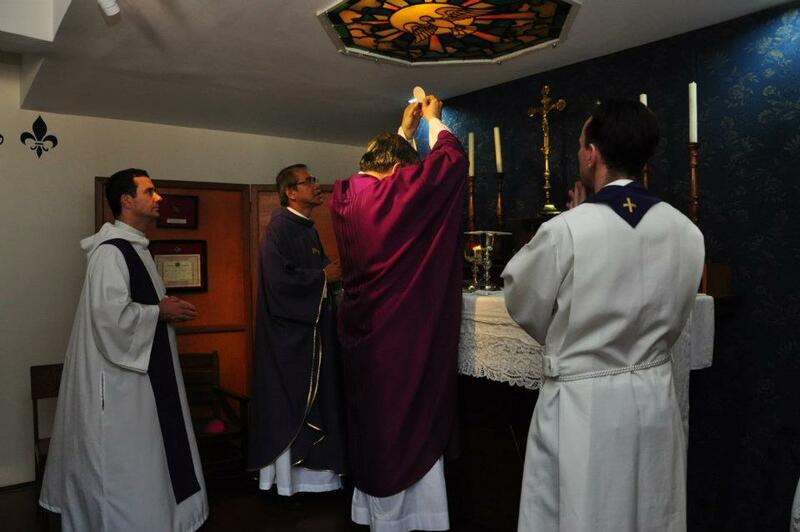 Further, you must pray with the priest the holy words said by him in the Name of Christ and which Christ says by him. You have to associate your heart with the holy feelings which are contained in these words and in this manner you ought to follow all that happens at the altar. When acting in this way, you have prayed Holy Mass." But there's a pulpit.... Why didn't he made his sermon there? Speaking of weirdness, I attended and prayed the mass last week in our parish and to my surprise liturgical dancers are present in the Gloria. Interesting to know that he didn't find this weird. 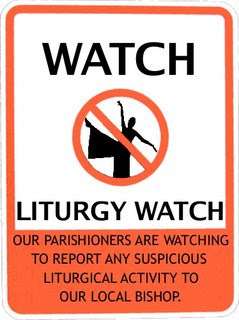 My next action is to inform him about liturgical dancers. Hehehehe. Oh well..